A foot = an iambus (or a beat that consists of an unstressed beat and a stressed beat). 3) How dare you touch my face like that it hurt! 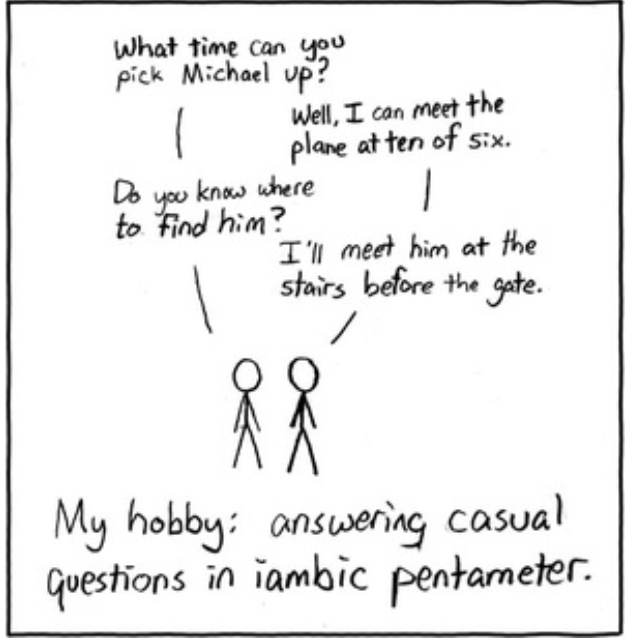 WHY DOES SHAKESPEARE USE IAMBIC PENTAMETER?